The forklift man basket is the ideal solution for providing safe, high level access to workers. In order to provide reliablity and security, the basket is fitted with several safety features, including overhead protection, a harness point, internal hand rail and more! For the highest level of flexibility, the forklift man basket can be used with the double heel pin for access via lift, or via the 4 leg chainsling above for use with a crane.  Ordering your man basket from SafetyLiftinGear is simple, whether you're looking for a permanent forklift solution, or a temporary crane attachment. Simply select either the 'Hire Me' or 'Add to Basket' buttons display on the product page, and navigate to your order either by using the on-screen instructions, or by clicking the basket in the top right corner. Do you have any questions about our forklift and crane man basket? Simply get in touch with the SafetyLiftinGear team today, and we'll be happy to help with any questions you may have. Call us on 0808 123 6969 or via the details on our contact page.